TAGUM ENERGY PARK. Tagum City, the provincial capital and the largest of three cities in Davao del Norte, has one of the best parks in Davao Region. What makes this park so charming is you are able to rent a bike here for an hour or more around the park. DINING. Davao del Norte is not only a must visit for adventurers or beach lovers. In recent years the province has produced several dining places that will satisfy the taste buds of foodies. In Panabo City, Hilaiza's Pastry Shop is a must visit. Offering comfort food and delicious pastries, their Meatloaf, Adobo Trio, Peacan Pie, Dome Cake, and Chocolate Chip Cookies are a must try. TALICUD ISLAND. 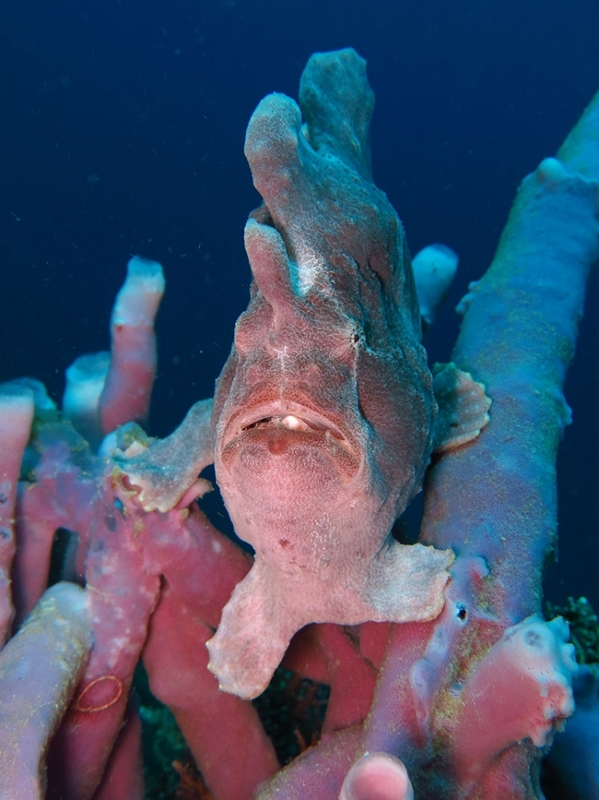 One of the many islands comprising the Island Garden City of Samal, Talicud Island has grown to become one of the premier diving destinations in the country. MONFORT BAT CAVE. A testament to how a person can make an impact in wildlife conservation, the Monfort Bat Cave is a sanctuary for millions of fruit bats living on the Island Garden City of Samal. Norma Monfort, founder of the Monfort Bat Cave Conservation Foundation, said Samal's caves used to be home for many fruit bats but due to humans, some have been driven out. Hence her efforts to protect and conserve the bats living at the Monfort Bat Caves. DAVAO Region is packed with lots of tourist sites from the highlands to the sea. Each province in the region has its own unique set of sites that will definitely wow its visitors. Davao del Norte, the largest province in the region in terms of population, has a number of these tourist destinations. Among the tourist destinations are Talicud Island, Tagum Energy Park, Kabyawan Cave and Monfort Bat Cave. Talicud Island is one of the many islands comprising the Island Garden City of Samal. 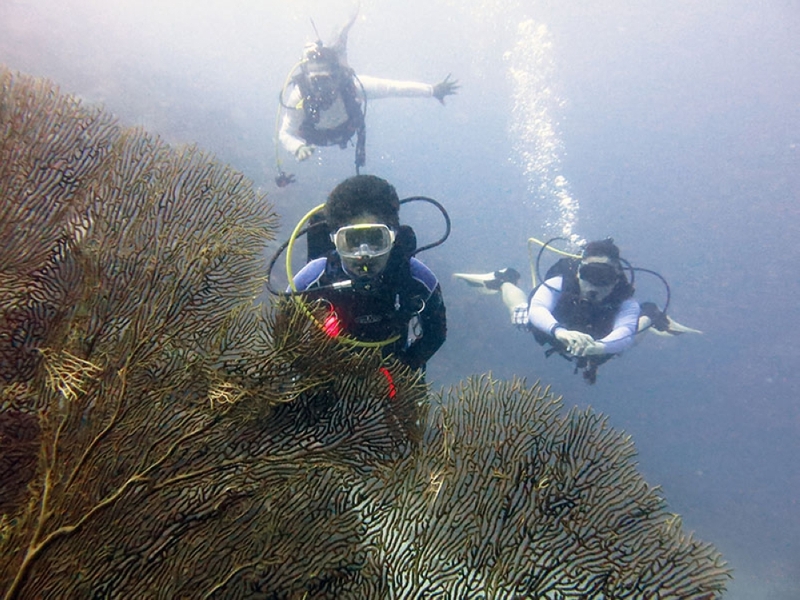 Teeming with various marine creatures and corals, the island has become one of the premier diving destinations in the country. This area is also known for its white sand beaches and pristine waters. Kabyawan Cave, located in Barangay Dacudao, San Isidro town, will delight spelunkers who must overcome the tight squeezes, rock climbs, and waist-deep waters. Mother nature has decorated the cave with stalactites and stalagmites. It is also teeming with a colony of fruit bats. 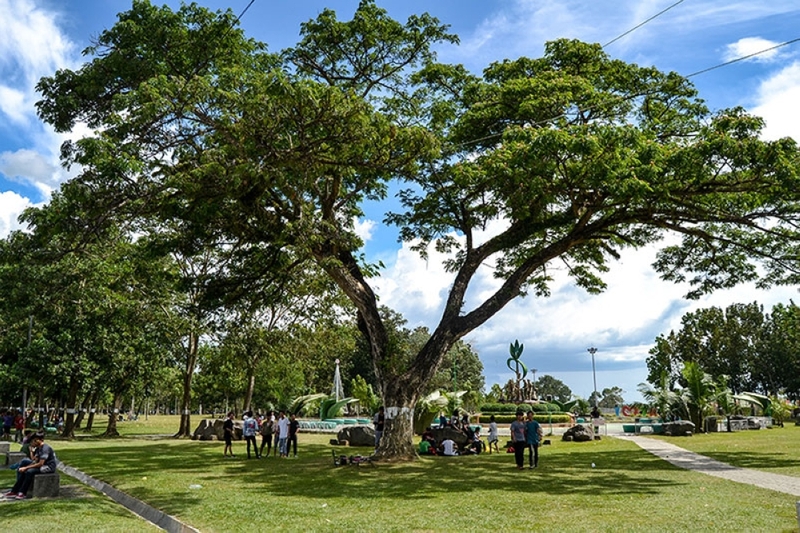 Tagum City, the provincial capital and the largest of three cities in Davao del Norte, has one of the best parks in Davao Region. 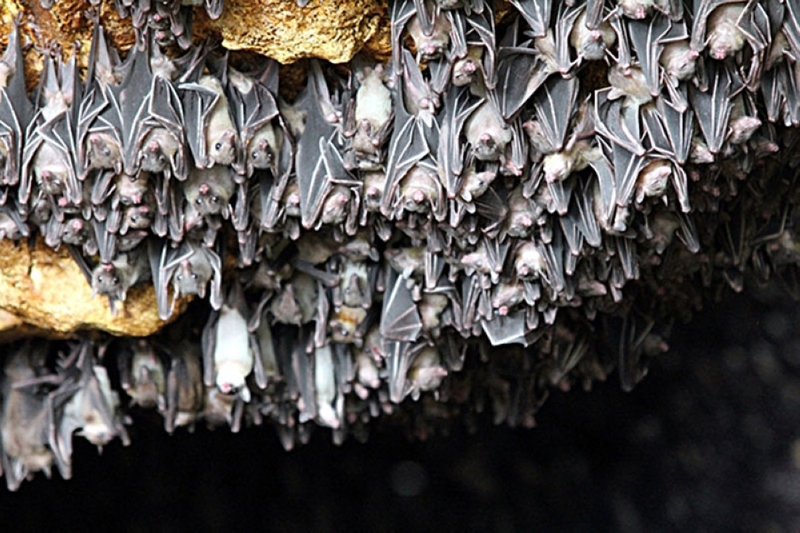 The Monfort Bat Cave is a sanctuary for millions of fruit bats living on the Island Garden City of Samal. Norma Monfort, founder of the Monfort Bat Cave Conservation Foundation, said Samal's caves used to be home for many fruit bats but due to humans, some have been driven out. Hence her efforts to protect and conserve the bats living at the Monfort Bat Caves. Davao del Norte is not only a must visit for adventurers or beach lovers. In recent years the province has produced several dining places that will satisfy the taste buds of foodies. In Panabo City, Hilaiza's Pastry Shop is a must visit. Offering comfort food and delicious pastries, their Meatloaf, Adobo Trio, Peacan Pie, Dome Cake, and Chocolate Chip Cookies are a must try. 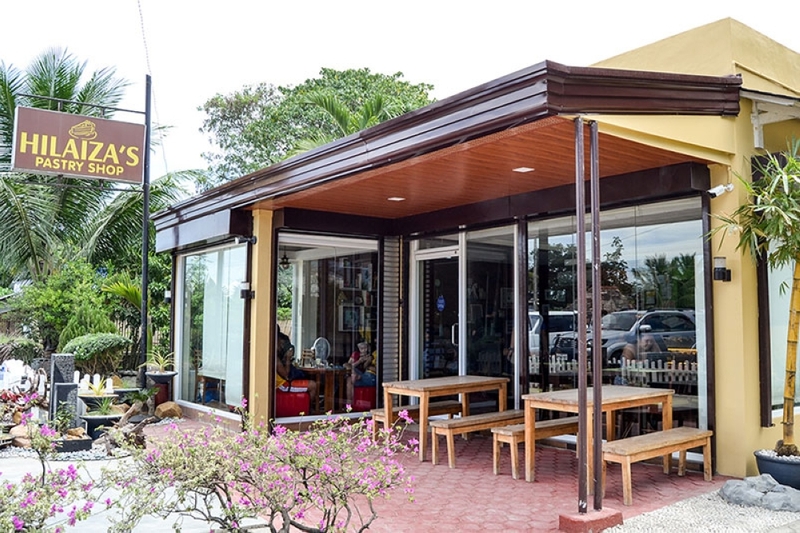 In Tagum City, the Yuyu Cafe and Dessert Shop is a place you would want to dine and relax and partake of delectable desserts and yummy comfort food. Top on the list are their Baby Back Ribs and Pralines. From the highlands to the beaches to your tummies, Davao del Norte has a lot to offer its visitors.